- Headlines from your favorite teams arrive right on the app home screen. Tap in and jump inside the team clubhouse. Never miss news or highlights again. - Within the Audio tab, you can now customize and subscribe to your favorite podcasts. We'll send you alerts when new podcasts arrive and save your listening spot so you can finish next time. Tap the headphones icon to get started. - iPad Pro support and optimization. - Speed and performance optimizations. Tonight's 2016 College Football Championship features #1 Clemson (13-0) vs. #2 Alabama (12-1) and kicks off at 8:30pm EST on ESPN. In addition to the telecast, we will be running Megacast across all our digital properties featuring 14 different ways to view and follow the game. You can stream the linear broadcast, watch in Spanish, follow from above with the Spider Cam or from the endzone with the Pylon Caam. You can listen to the Hometown Broadcasts and root for Alabama or Clemson. Or, you can follow from the Taco Bell Student Section for a totally different experience. In total, there are 14 different ways to watch and each will be available directly inside your ESPN App (iOS and Android) or via your connected TV Apps (Apple TV, Roku, XBox, Amazon, etc). And if you're following digitally - ESPN.com and the ESPN App will deliver all o the action through real-time video highlights and alerts. Enjoy! Yesterday, Snapchat launched their new short-form, fun media product Discover: "Snapchat Discover is a new way to explore Stories from different editorial teams. It’s the result of collaboration with world-class leaders in media to build a storytelling format that puts the narrative first. This is not social media." I am excited to say that ESPN is part of that launch - among ten other great launch partners. We of course represent your sports news and content. You'll find unique, daily sports clips, articles, photos and takes. It is fun and compelling - and most importantly, it fits really nicely within Snapchat's environment and interface. I think you'll have fun playing with it. Also: our team is growing. So whether you are interested in creating the great social content or helping to build experiences like these - please contact me. There are many great positions. A Reading List of #LongReads in 2014 — From Chris Rock to Jerry Jones and Silicon Valley to Rio de Janerio Continuing the theme of year-end lists, here is an eclectic and certainly incomplete list of interesting, long reads. From pop culture (Chris Rock, Chevy Chase, Dave Chappelle) to pizza founders (Mike Ilitch and Tom Monaghan) to sports (World Cup, Jerry Jones, Ray Rice) to business (Las Vegas, Uber, education) and more. If you read my other list (My Favorite Products of 2014 — from apps to gadgets), you will notice the inclusion of Nuzzel and Pocket. There are many other ways to find and save great content (and so much comes from the general combination of email, Twitter and Facebook) - but that's what works for me. And producing a list like this becomes rather easy when you open up Pocket and can see a year's worth of favorites! It is also worth noting another method - which I mistakingly failed to include in my 2014 Favorite Products: curated email list. MediaRedef, The Skimm, and Quartz are three I read daily. And they are loaded with great, smart, curated content. Chris Rock Talks to Frank Rich About Ferguson, Cosby, and What ‘Racial Progress’ Really Means (Vulture) What’s killing comedy. What’s saving America. Celebrate Dave Chappelle's New One-Man Show by Reliving the Funniest Night on Earth It was a routine Wednesday at the Comedy Cellar in N.Y.C....until Dave Chappelle dropped in for a surprise set. The unicorn of comedy then proceeded to invite a few famous audience members onstage for what morphed into a kind of roast/toast/love-in/improv session—and an instant classic in the annals of funny. On the eve of Chappelle's five-night run at Radio City this month—his biggest professional moment in more than a decade—we asked the guys who were there that night (including the unicorn himself) a simple question: How the hell did this happen? The Conjuring of the Mirage (VegasSeven) 25 years ago, Steve Wynn was busily creating a new kind of resort. This is the tale of the alchemy–and the crazy risk–that changed the Strip forever. Reaching My Autistic Son Through Disney (NYTimes) It’s later that night, and we’re driving down Connecticut Avenue after seeing the latest from Disney (and Pixar), “Brave.” I think I understand now, from a deeper place, how Owen, and some of his Disney Club friends, use the movies and why it feels so improbable. Most of us grow from a different direction, starting as utterly experiential, sorting through the blooming and buzzing confusion to learn this feels good, that not so much, this works, that doesn’t, as we gradually form a set of rules that we live by, with moral judgments at the peak. One Startup’s Struggle to Survive the Silicon Valley Gold Rush (Wired) Nick and Chris no longer cared about “killing it.” They were too honest and too tired for that language and that posturing. At this point they just wanted to survive. They had about a month to raise $1 million or they would no longer be able to make payroll. Rice case: purposeful misdirection by team, scant investigation by NFL (ESPN) “Outside the Lines” interviewed more than 20 sources over the past 11 days — team officials, current and former league officials, NFL Players Association representatives and associates, advisers and friends of Rice — and found a pattern of misinformation and misdirection employed by the Ravens and the NFL since that February night. Jerry Football (ESPN) In the owner's suite, on his private jet or among Dallas' beautiful people, JERRY JONES seems a happy man. But what he really wants, he cannot have. A Deeper Look at Uber's Dynamic Pricing (Bill Gurley) Fundamentally, most critics of Uber’s pricing model fail to recognize that Uber is a true marketplace. The majority of leading Internet marketplace companies use dynamic pricing as a solution when confronted with a scarcity of supply. Finding a Video Poker Bug Made These Guys Rich—Then Vegas Made Them Pay (Wired) At 12:34 pm, the Game King lit up with its seventh jackpot in an hour and a half, a $10,400 payout. Now Williams knew something was wrong: The cards dealt on the screen were the exact same four deuces and four of clubs that yielded Kane's previous jackpot. The odds against that were astronomical. Williams called over the executive in charge of the Silverton's slots, and they reviewed the surveillance tape together. The evidence was mounting that Kane had found something unthinkable: the kind of thing gamblers dream of, casinos dread, and Nevada regulators have an entire auditing regime to prevent. He'd found a bug in the most popular video slot in Las Vegas. The Anonymous Bestseller (Medium) Hugh Howey might be a bestselling author, but you wouldn’t know it by looking at him. And that’s how he likes it. The Rio the World Cup Didn't Show (ESPNFC) Every second in Rio, she said, 4,700 gallons of sewage spills into the ocean. Up and down the coast, open pipes along the beach just dump the waste right into the water, and on bad days, locals call the visible stain of human waste the “black tongue.” The amount of feces in the water, she said, is 195 times what the U.S. considers acceptable, and 78 times what Brazil considers acceptable, and while this is profoundly disgusting — Leona stopped swimming when she learned the numbers — it is also cosmically perfect. There is the Rio that visitors see, whether swimming in the water or watching a soccer tournament on television, and then the real Rio, beautiful but flawed, hiding in the cliché. The Future of College? (Atlantic) A brash tech entrepreneur thinks he can reinvent higher education by stripping it down to its essence, eliminating lectures and tenure along with football games, ivy-covered buildings, and research libraries. What if he's right? The Overprotected Kid (Atlantic) A preoccupation with safety has stripped childhood of independence, risk taking, and discovery—without making it safer. A new kind of playground points to a better solution. Wes Welker Will Not Be Denied (ESPN) Wes Welker became one of the most dominant receivers of his era because of an unfailing belief in his abilities. In the wake of three concussions in 10 months, is that same self-confidence now putting his future at risk? The Down And Dirty History Of TMZ (Buzzfeed) How a lawyer from the San Fernando Valley created a gossip empire and transformed himself into the most feared man in Hollywood, all by breaking a few long-held rules and, as rumor has it, lording over a notorious vault full of secrets. 9 Exits On America's Football Highway (ESPN) A 540-mile stretch of I-20 in Texas reveals the state of football in the football state. The Quaid Conspiracy (Vanity Fair) Written in 2011 - but I discovered this recently... and have read & shared it many times since... pretty remarkable read They’re spending nights in their car, on the run from the same shadowy cabal—“the Hollywood Star Whackers”—who may have killed Heath Ledger, possibly sabotaged Jeremy Piven, and could now be targeting Lindsay Lohan. No, this is not the plot of Oscar nominee and Golden Globe winner Randy Quaid’s latest movie. It is what he and his wife, Evi, swear is really happening to them. With the Quaids in Canada, the author probes their nightmare reality, which has alienated friends and family, and turned the couple into outlaws. Top Free: it's a list dominated by big brands. - Facebook has #1, #4, #5 and #11 with Messenger, Facebook, Instagram and WhatsApp respective. - Snapchat is #2. - Google has #3, #7, #12 with YouTube, Google Maps and Google. - Pandora is #6. Spotify is #9. For the past several years, I have used December to write about my favorite products, digital habits, etc. And here again is my annual list of things I habitually use, love and rely on. There are obviously many, many other great products, apps, tools and gadgets - some fun and others meaningfully important to tech trends... this is simply a list of those things I use each and every day. 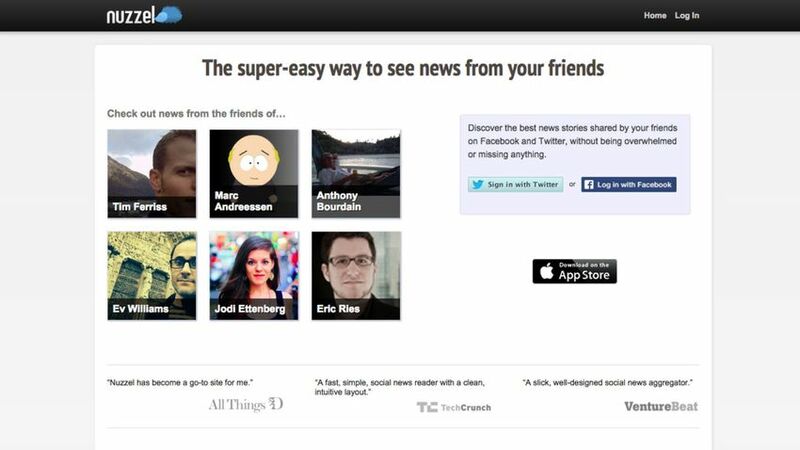 Nuzzel and Pocket Both of these are new habits in 2014: Nuzzel is a new product and I simply find it to be the most effective and most efficient way to find and consume great content. And while, Pocket has been around, I have found myself using it daily in part because Nuzzel and Pocket work so well together, because Pocket works so well across device and Platform (iOS, Android, MacOS, etc) and because it works offline (great for reading during travel). Spotify Spotify has been on this list since it launched… and in terms of daily minutes consumed, it is probably my most used product. We use it as a family and it's as much a part of my routine as my kids' (Raffi was our #1 artist of 2014… says a lot, right?). Once you spend the time to set playlists and explore new artists - the switching costs are also very high. I cannot imagine moving my music activity outside of Spotify: not only is it a great experience… it would be a great deal of work. SportsCenter & WatchESPN Naturally I am a sports nut and am quite biased, but... I use these applications daily. SportsCenter for scores, stats, news and highlights (which has a major update coming in a few weeks) - and I use WatchESPN to watch Duke Football (whether on phone, Apple TV or other connected devices). Camera+ Gets better and better… Lots of other great options like Litely, but I eventually find myself happily returning to Camera+. Twitter Notifications and Facebook Groups & Facebook Messenger Writing that Twitter and Facebook are part of my digital life would be rather obvious. So a couple features I now routinely use: - I actively manage and use Twitter Notifications to stay atop of news and content. Examples include getting notifications for @NikeStore (read more here), @BillSimmons, @BenedictEvans, @CNNbrk, and @AdamSchefter. - On Facebook, I use Groups regularly (both on web and now via application). We use it actively at ESPN for in-group communication and sharing. And I use Messenger more and more each month… particularly with friends who I do not regularly SMS with. iOS8 Widgets and... iOS8 Extensions - Pocket, Buffer, etc Extensions and Widgets have been a part of android for a while (or the capability) - but with ios8, this functionality opens up so many different use cases for users and app publishers. Pocket, Evernote, Pinterest, SportsCenter, Nuzzel, Wunderlist, Buffer and others suddenly become more routine / daily behaviors for me. Travel Bundle: United, Uber, Passbook, Tripit, HotelTonight I've been on the road quite a bit recently and each of these apps is used with each trip. The United App is totally redone, reliable and integrates nicely with Apple's Passbook. Tript is terrific and I forward plans and confirmation reservations to the plans@tripit email service. Works perfectly. I have also used HotelTonight several times this past year and been pleasantly surprised by how elegant and easy it is… and they answered my biggest ask: the ability to book multiple days ahead. Health Bundle: MyFitnessPal, Argus, Pedometer+ and Instant Heart Rate by Azumio No rhyme or reason as to how I use each of these together… but 2014 was the year for me where I moved entirely from hardware tracking to software. I use MyFitnessPal for tracking nutrition habits and logging activities. Pedometer+ is the simplest way to view movement (I use their simple iOS8 widget. And I use Argus and Instant Heart Rate to simply monitor and log simple performance during cardio workouts. Video Bundle: iTunes, Netflix, Watch Disney Junior & Watch Disney Channel, Apple TV Maybe this is more a habit of the kids… but they have amassed quite the library on iTunes and a queue of favorite characters and shows via Disney's Watch apps and Netflix's playlist. Dropbox On this list year after year… deserves to be on this list more this year than any before - between file management, photo backup, and team collaboration. Skitch Old reliable. Use it several times each day. Evernote Skitch's parent company and product - Evernote is also old reliable. They are a great example of platform ubiquity and interface consistency across all of those products. From iOS native application to the MacOS Desktop App - Evernote works seamlessly across all of my devices and the content is readily accessible and editable. Also of note: Evernote's product marketplace is very unique. The products within are of terrific and surprising quality. The Pfieffer product line is really fantastic. Mobile Day I wrote about Mobile Day last year and am still shocked by how few people know about it. If you take a lot of phone calls - you'll just love the app. Note: As of this past week, MobileDay has introduced a freemium model for users who place more than 10 calls a month. Wunderlist I love the interface, shared lists and the new integration into ios8 widgets / extensions. Easy integration with other users (family or teammates) and easy integration via email (simply forward tasks or emails to me@wunderlist.com). I have fiddled with several list / to-do services and this has become my favorite. An ask for 2015: the ability to send tasks from multiple email addresses. Screenflow & Android Screencast Both excellent tools to capture, share and test product design and functionality. Screenflow allows editing and Android's Native Screencast makes it so, so simple. 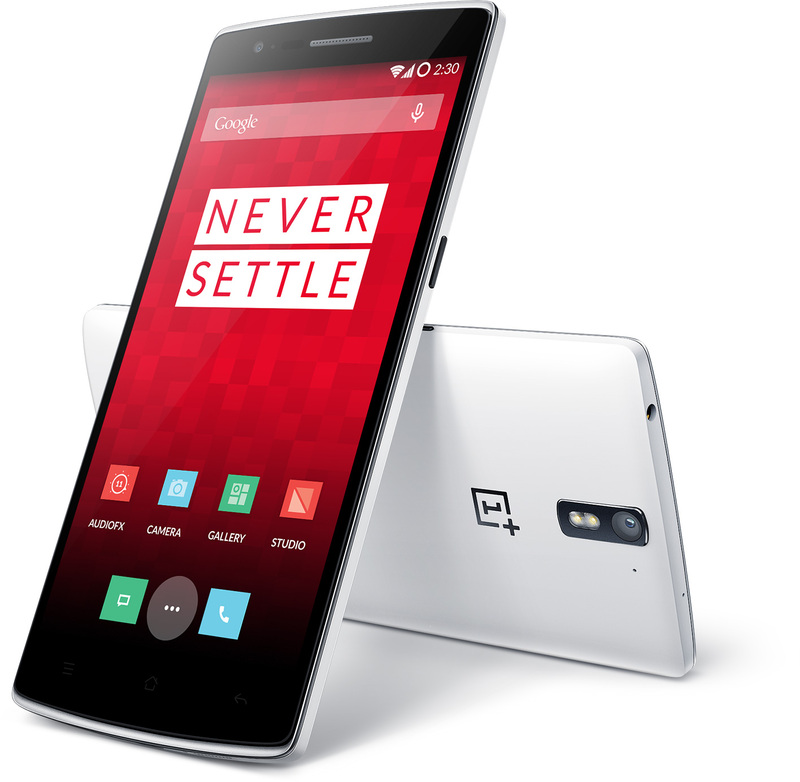 OnePlus I love this Android device. I love the build, the size, the feel. I really like the Cynogen / Android install and the customization opportunities. Really well done. And perhaps most importantly: I love price. Unlocked and 64GB for $349. The price is a game-changer. Tile Took a little longer to ship than I had hoped - but the product is really well made and the software pairs easily and nicely. I have a Tile on each of my keychains and find myself clumsily having to use the app once a week. Also a great, fun gift. iPhone & iPad Connection Cables I give several presentations and demos in a given week.... And I almost always prefer to give it as a live demo and off of the actual device. These cables are life savers and I keep a pair (hdmi + dvi) in the office and in my bag. Bose Wireless Headphones Note: I am NOT an audiophile. I look for comfort, ease, sound, and size. I bought these bluetooth early in the year and, while other headphones might have better sound quality, I really enjoy them. I really wanted a pair of wireless, bluetooth headphones for travel - and ones that would be comfortable after many hours of usage. The Bose headphones work terrifically. My only critique (but I think newer models are improved) is around battery life. If you want more research, here are some good comparisons by The Verge and Gizmodo. NiteIze Gear Ties These things are brilliant and I go through them like candy… simple way to keep your cables organized. With daily use, they last 6-12 months and are an easy add-on to any Amazon order. Bobo Bars and Raw Revolution Bars I eat the same thing each morning for breakfast: either a Bobo Bar or a Raw Revolution Bar. Both are great (although everyone's tastes are obviously different). Nespresso VertuoLine Coffee I eat the same thing every morning and I drink a lot (yes, a lot) of coffee. THe new Nespresso Vertuo machine is just terrific. Unlike past generations which only brewed espresso - this now also brews coffee. It's delicious. Some related "best of" lists from other sources... what did I miss? Note: I am an investor in Nuzzel and MyFitnessPal. Social Commerce Done Right: Nike's Takes to Social for "Twitter Only Sales"
If you are a sneaker aficionado, you are probably well aware of Nike's fantastic, online, social-only commerce routine. You might even have signed up for Twitter alerts from @NikeStore so that you never miss a special sale. And as a geek and a self-proclaimed sneakerhead (defined here: NYTimes here and here, FiveThirtyEight here)... Nike's Twitter usage is among the best examples of social commerce and part of my shopping habit (I actually have Twitter iOS notifications turned on for @NikeStore). And if you're not a sneaker fan, you should find Nike's tactics interesting in the same way that some brands have mastered Pinterest, blogging, etc. Nike has created an experience and specialness around their routines... and in the process, amassed a social following, engaged their highest value buyers / fans, and proved that social + commerce can indeed work. 1. Nike has a slew of special content and one-time sales (ie a sneaker Pop Up shop). These are often one-time colorways and styles of a certain sneaker. But Nike will also release special products tied to current events (like an Oregon football game) and so forth. 3. Nike amplifies those tweets with other Twitter handles (ie running-related products are also shared via Nike's running handles). 4. product launches happen at pre-announced, defined times (usually 8am EST). 5. At 8am EST, @NikeStore tweets a special URL for the sale. Many of those releases are only available via Twitter - what Nike calls "Twitter Link Only (TLO)". Meaning, users have to follow @NikeStore to purchase the products. 7. The shoes sell out within in minutes... sometimes seconds. The speed is pretty remarkable actually... again, encouraging followers to turn @NikeStore alerts on and to create their NikeStore.com account (with credit card on file of course). 8. The web purchase flow - on mobile and big-screen - is equally good looking: big visuals, social sharing tools, and focus on urgency. 1. Nike had Christmas-day sales that coincided with the special shoes worn by its players (like Lebron James) that day. It was a Twitter-only sale. Lebron then shared with his followers and posted an Instagram picture of his new shoes.